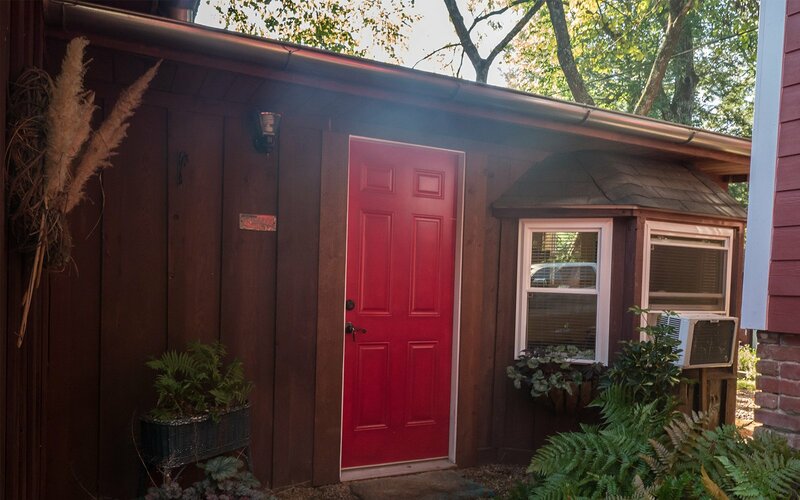 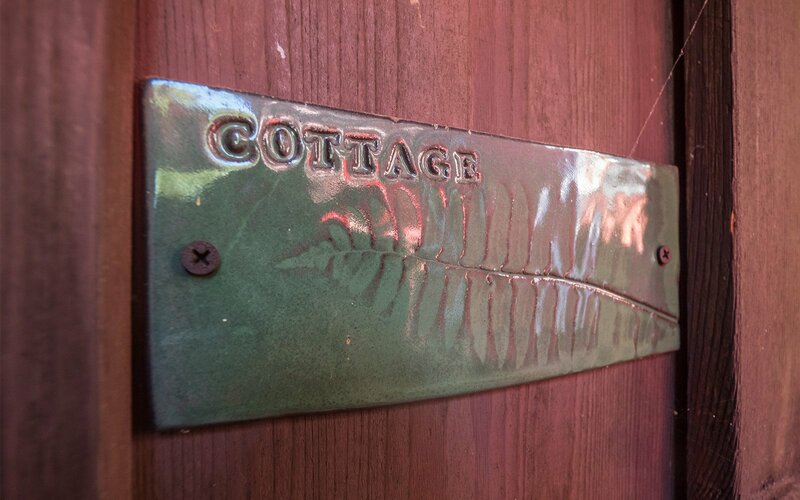 The Cottage is adjacent to the main house and offers additional privacy for guests. 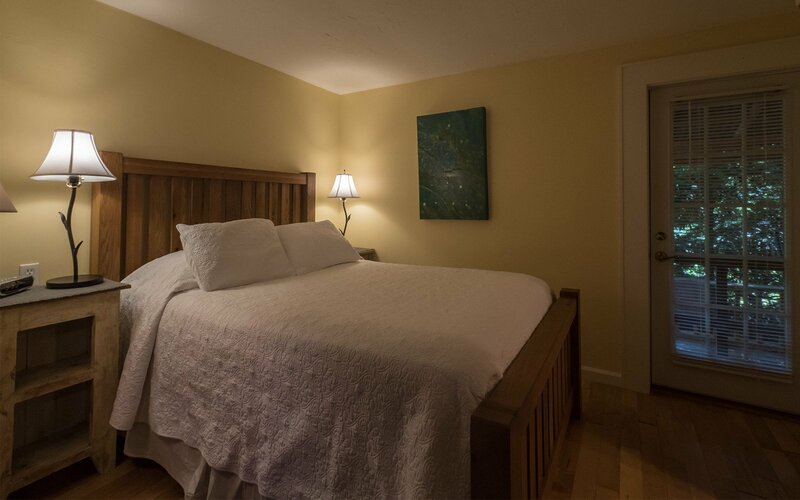 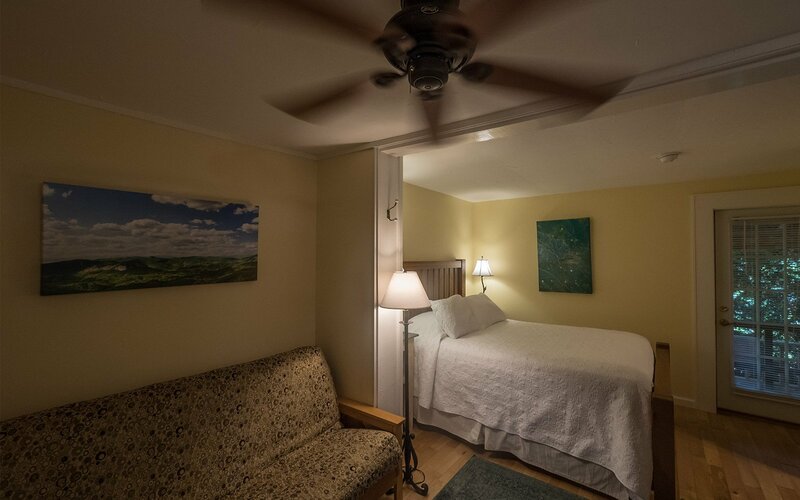 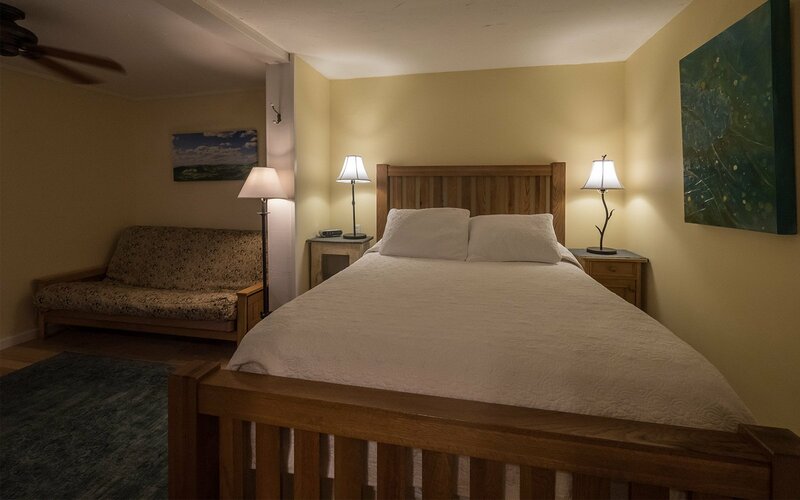 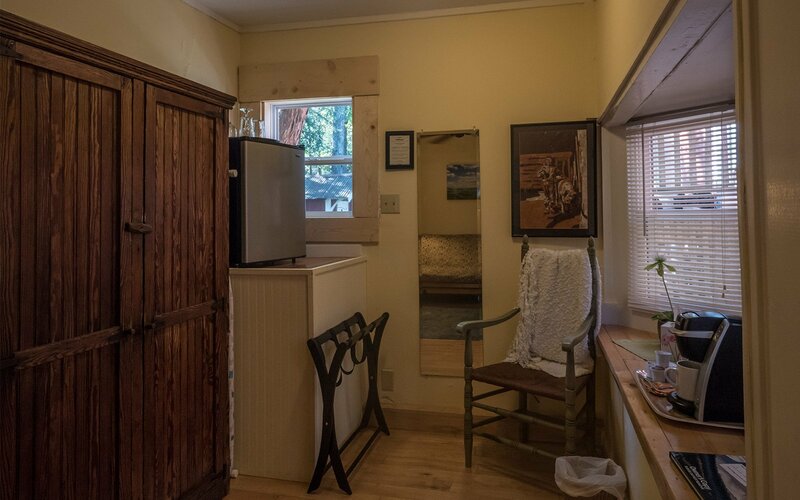 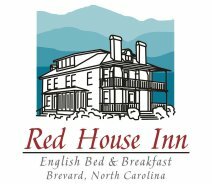 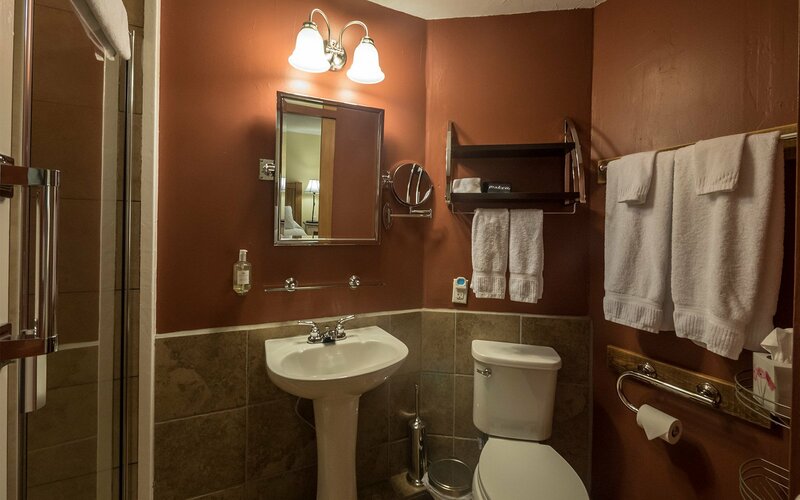 The room has a solid oak queen bed, private bathroom with a shower and a sitting area with futon that can be converted into a full-size bed upon request. 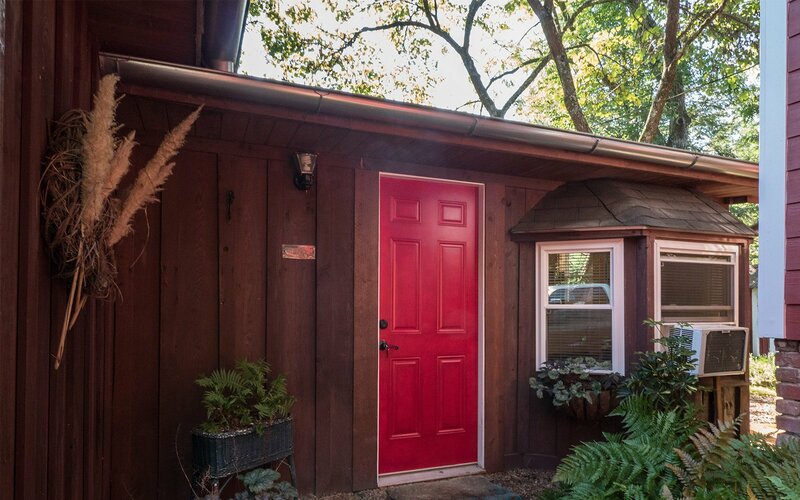 Natural maple floors, cedar siding and a private porch add to the mountain atmosphere. 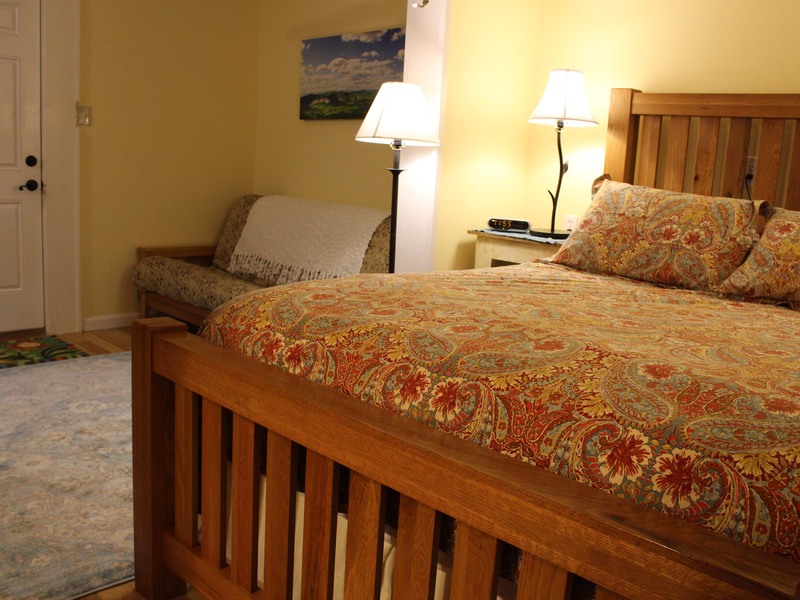 The flat screen TV with digital cable can be easily viewed from the sitting area or the bed.